West End Travel, founded in 1972, is a leading independent Travel Management Company, which specialises in corporate, business, leisure and sports travel, worldwide. West End Travel is licensed by IATA and the Civil Aviation Authority and is a member of the ABTA the Travel Association. Our professional achievements are recognised throughout the UK travel industry, ensuring that each year we maintain our position within Business Travel World Magazine's prestigious list of the leading 50 UK Travel Management companies. Our dedicated travel staff provide a highly personalised and professional service, offering an in-depth knowledge of international travel, ever mindful of the necessity of cost-effective travel. 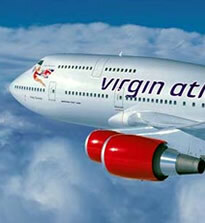 It is the business model that makes West End Travel the ideal business partner for your travel requirements.